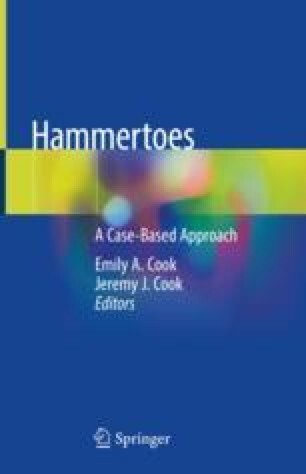 Hammertoe deformities in the presence of sensory neuropathy have the potential to cause increased skin irritation and ulcer formation. If not diagnosed and treated properly, this can become complicated by infection, need for antibiotics, inpatient admission, and/or amputation. Goals of surgery in these types of patients are to reduce bony prominences at risk for ulceration, restore alignment and stability to the digit, and allow for functional ambulation [1–3].